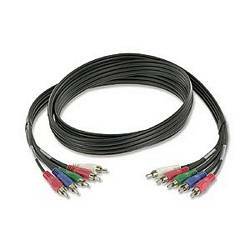 Designed for use with progressive scan DVD players or HDTV receivers, this composite video cable provides higher-performance video and stereo audio at an affordable price. This premium cable features 3 component video channels and left and right audio channels for excellent picture and sound quality. Male RCA connectors at both ends.